Note: Gardner pedigree for Dr. Frank and his sister, Lucie M.
We are remiss. I cannot believe that we have not had anything yet about Lucie. She was a sister of Dr. Frank and co-editor of The Massachusetts Magazine. 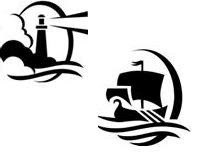 As well, she was active in the Salem/Boston area. She was a graduate of Tufts College. Lucie was a founding member of Alpha Xi Delta in Boston. We will be doing a more thorough biography of her as we cover both the editors and contributors of the periodical. Lucie in the 1915 Who's Who (Dr. Frank is on the preceeding page). Here is an example report that Lucie did on the Old Planters Society (TMM Vol II). This was not that one whose focus is Beverly. Notice the officers and councillors. 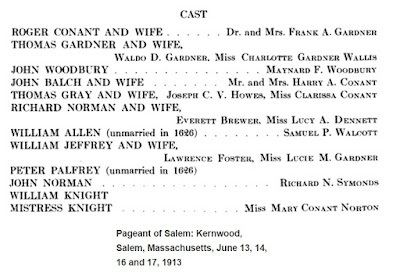 In 1913, as part of the 300th, there was a pageant (Google books) given in Salem. Dr. Frank, and his wife, played Roger and Sarah Conant. Ann's grandfather played Thomas Gardner. Lucie played Mrs. Jeffrey. 12/05/2016 -- Lucie contributed to all of the issues of the TMM. We introduce her in the Gardner's Beacon and will list some of her work in The Gardner Annals. 12/18/2016 -- Lucie mentioned in article published in The Gardner Annals, Vol. III, No. 1. 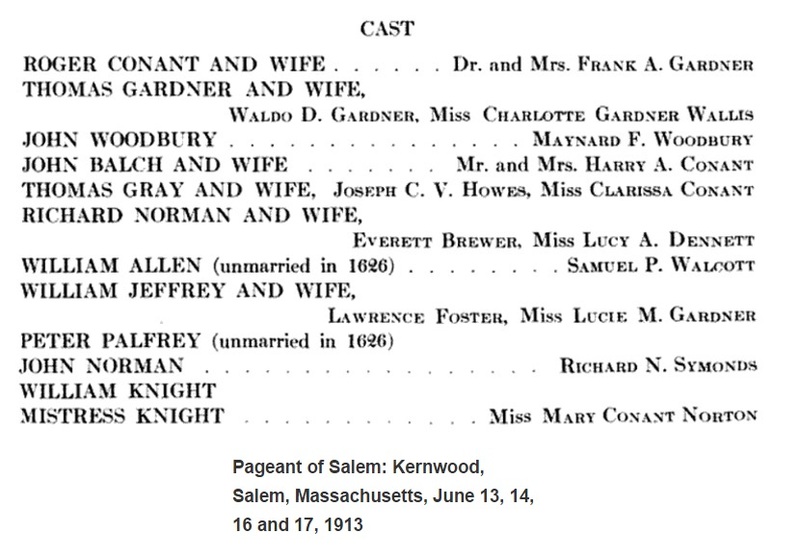 06/06/2018 -- The Pageant of Salem (1913).